Essential pack of tools and tutorials for the ongoing Web 3D revolution (WebGL)! Easy 3D TOOLS to get you making worlds with avatars and deploy them to the Web in no time! In short: all about CREATE, ASSEMBLE and DEPLOY virtual worlds and games to the web that run on browsers without plugins, using Web 3D recent standards (HTML5 and WebGL). CREATE 3D objects: to start creating 3D you need a good and free 3D modeler like Sketchup. This is an intuitive, easy to use and complete tool, able to create all sorts of 3D objects and components. CREATE Avatars: with the intuitive and free MakeHuman all sorts of Humanoids can be easily created, . ASSEMBLE the scenes and DEPLOY them to the Web: Unity 3D makes the magic happen, assembling the objects and avatars into 3D scenes, worlds or games, adding animations, advanced interaction and special effects. .When the creation process is complete, Unity deploys the 3D Worlds/games to run in dozens of platforms and formats, including PC desktop, consoles, mobile and the web via WebGL. This way 3D runs directly in standard browsers, no plugins needed!. If you doubt please check our "out of the box" basic demo scene. If you are curious about the overall picture of the coming Web 3D revolution read about it here. 1- Unity3D, Sketchup, MakeHuman and Photon - core tools to make your 3D dreams come true! If you are beginning 3D do not disperse your attention and skills. 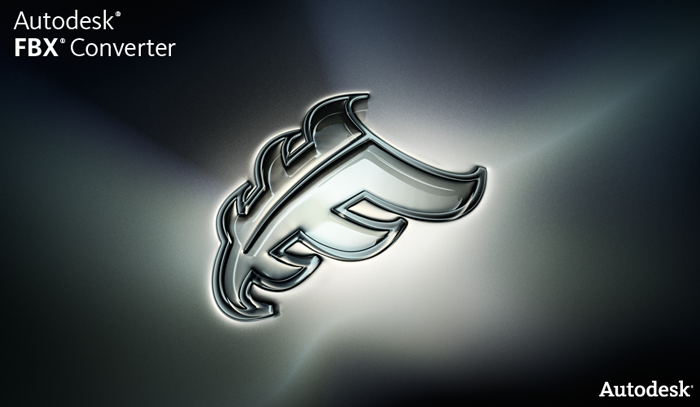 Concentrate yourself in this trio virtuoso of fine 3D tools. One of the best worlds and Games editor. It's free and, surprisingly, quite accessible for newbies. Uses assets/objects created in modelers (Sketchup, Blender, ...), assembles the scenes, makes animations/interactions/special effects and deploys the world/game to the Web in WebGL/HTML5 (among dozens of other formats/platforms, including desktop, consoles and mobile). Fungus intuitive interface lets everyone create beautiful story games easily - for free and with no coding! Unity is a scene assembler and deployer but not a 3D modeler. It uses assets (3D objects and avatars) available anywhere, in 3D repositories, in the official Unity asset store or created by ourselves. To create other 3D content, our own creations, we need software to model 3D objects and create avatars. Sketchup and MakeHuman, suggested below are, among other possible choices, specially recommended for newbies. The 3D content created with these programs can be exported* easily to Unity 3D using the standard exchange format .dae (collada) or fbx. This has evolved and now sketchup files (.skc) are read directly by unity. One of the best and probably the easiest 3D modeler. A free and highly intuitive 3D modeler that by its "easiness" has contributed to massify 3D creation. The free version Sketchup Make is not as powerful as the pro version but you won't (or rarely) notice the difference. A relevant aspect to mention is that Sketchup files (.skp) are read directly by unity 3D Editor. Alternative: Blender, free and one of the best 3D modelers but not an easy start for 3D beginners. MakeHuman is a completely free, innovative and professional software for the modeling of 3-Dimensional humanoid characters. Alternatives: 1- Fuse. Free and intuitive. 2- Daz Studio .Free and powerful although a bit less intuitive than Fuse or MakeHuman. Look at its free 3D models and other Freebies lists. "PUN 2 is all you need to easily add multiplayer to your games and launch them globally. Forget about hosting, connection issues and latency" is a completely free, innovative and professional software for the modeling of 3-Dimensional humanoid characters. Alternatives: 1- UNet. Free, from Unity. 2- Connected Games. A future Network technology that is being prepared by Unity and Google. Free, provides accurate conversion of several 3D geometry formats to fbx, a file format used by many popular 3D programs. Alternatives: 1- Accutrans 3d. From micromouse.ca. Provides accurate translation of 3D geometry between the file formats used by many popular modeling programs. Although not exactly a free program, can be downloaded and used indefinitely..
A free program. MeshLab is a powerful open-source system to convert 3D formats and for manipulation of 3D meshes. It supports most known 3D formats, and has several types of filters and operators for remeshing, reducing, cleaning, and modifying 3D structures. 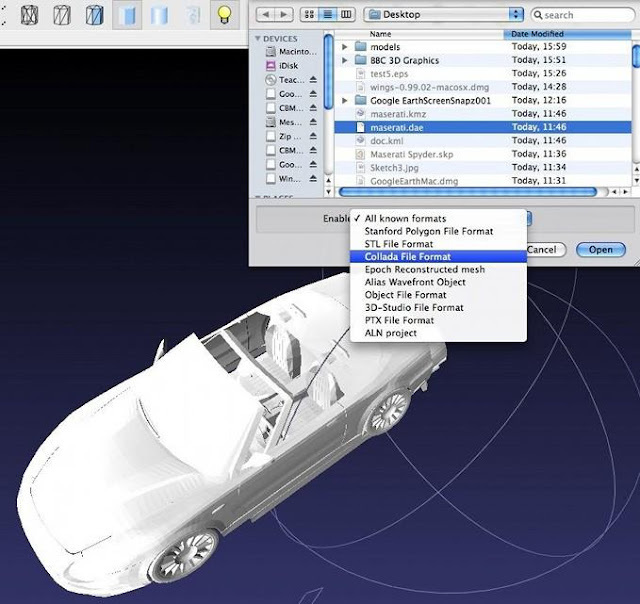 A free program from Autodesk that lets you easily get 3D models from photos you take of virtually any object. MeshMixer, a free app that lets you edit easily the mesh of 123 Catch objects and correct some gaps or other minor corrections on the model. Alternatively you can use other 3D editors to do this. A free program. 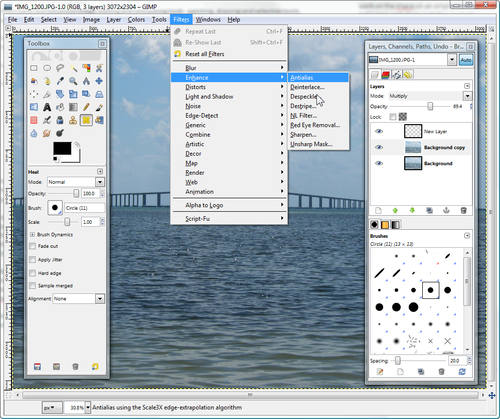 Gimp is a well known powerful image editor. Use Google Photos to store your forum images. More info here. Is a free, open source, cross-platform powerful software for recording and editing sound. A free screen capture and video editor to share your worlds or video tutorials in YouTube. It´s free. A full-featured professional tool for designing, developing, and publishing compelling, feature-rich websites that conform to web standards. Beware: a standard Web server is needed to make virtual worlds (or websites) available online. A server that allows you to upload a group of files from the PC directory to a directory in your space on the Web server. File servers like Google Drive or OneDrive will not work. Similarly simplified Web systems like Wix or Google Pages with upload constraints are not suited. Finally ... some standard Web Servers may have security policies that prevent some files to be served online so ... test for yourself several services and opt for the one that suits you. The global workflow idea is: since Unity 3D is not a modeler, we have to use modelers and other 3D tools to create the objects and characters than can be imported to Unity 3D which assembles the scenes, makes animations/interactions/special effects and finally deploys the world to the Web in WebGL/HTML5 format. For 3D beginners we advise Sketchup to start modeling. It is an intuitive, easy to use and complete modeling tool, essential to any 3D artist/creator. If one needs more advanced modelers there is a large choice. Said that, other known and powerful 3D tools (Blender, 3D studio Max, Maya, ...) can be used as modelers since practically all of them export to formats compatible with Unity 3D. See our additional selection of tools/tutorials and BabelX3D tools/tutorials public folder on the links below.